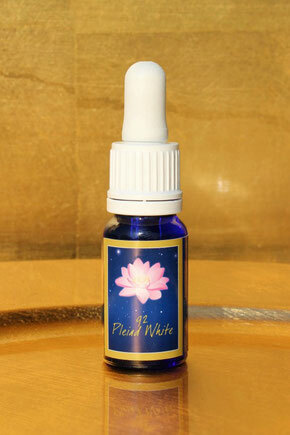 Pleiad White contains colour frequencies which cannot be found on Earth. This essence enables the frequencies of the Pleiades to flow into your chakra system bringing an alignment and expansion; and raising your vibration. This essence also facilitates access to the energy technologies from the time of Atlantis which want to be established in a new form on Earth. Pleiad White contains the knowledge of the sun and the crystal worlds. This essence helps you to fully live your own light presence in these new times. Pleiad White makes it possible to dive into the light of the white avatars and the new creation levels; and it also brings you into contact with the light which wants to come to Earth from other dimensions and from the central sun. Hold the essence with your stretched above your head and slowly bring the essence down through the astral body stopping in front of every chakra for a moment (lotus to root chakra) to take up the energy. You continue to your feet, where you place the essence between your feet and wait for a moment before slowly bringing the essence up to your heart chakra. 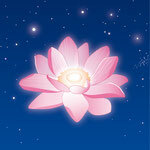 Place one drop onto each chakra (lotus to root chakra), onto both knees, both shoulder points (GB21) and into your mouth. Make clockwise circles around each chakra (root to lotus chakra) with a distance of approx. 10cm. Place a drop each into the four directions around you: front, to the right, back, to the left (distance to the body approx. 40-50cm). Then rub 1-3 drops between your hands and position your hands in the emotional body to the sides away from your chest; then hold them in the emotional body to the back of your kidneys; then finally place your hands onto your kidneys.